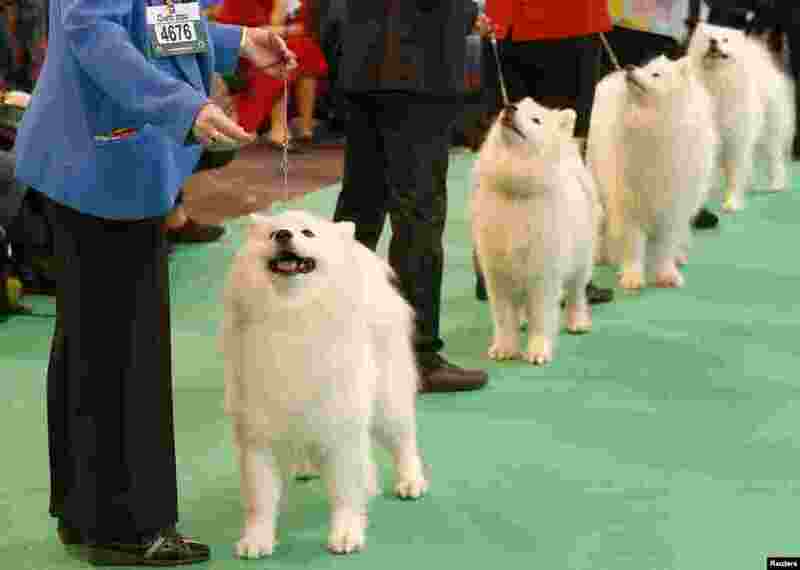 ۱ Samoyed dogs are judged during the first day of the Crufts dog show in Birmingham, central England. 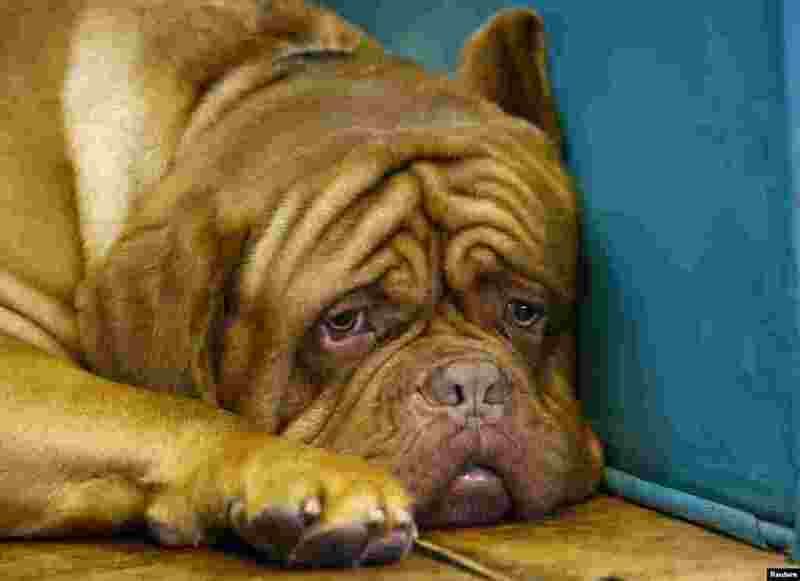 ۲ A Dogue de Bordeaux awaits during the first day of the Crufts dog show in Birmingham, central England. 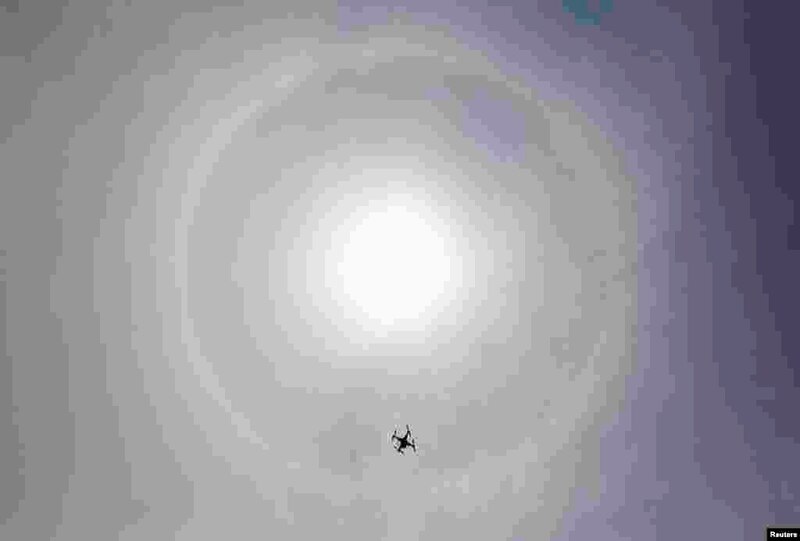 ۳ A drone flies in the sky as a solar halo is observed in Lima, March 5, 2014. The optical phenomenon is caused by refraction of sunlight through ice crystals in high clouds. ۴ Police detain protesters during a demonstration against Algerian President Abdulaziz Bouteflika's decision to run for a fourth term, in Algiers. 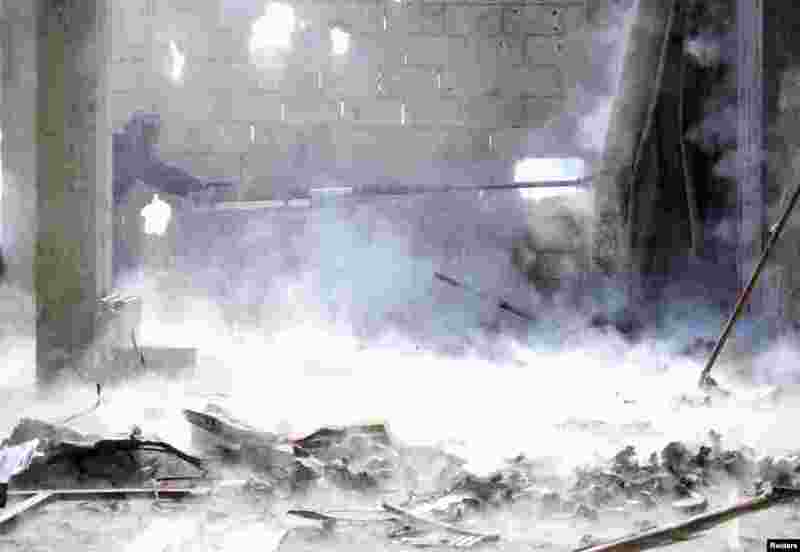 ۵ A Free Syrian Army fighter fires a weapon in eastern al-Ghouta, near Damascus, Syria. ۶ A sardine is carried in a coffin during the Entierro de la Sardina (The Funeral Of The Sardine) in the Basque port town of Portugalete, Mar. 5, 2014. The ceremonial funeral and burning of a sardine figurine, representative of the excesses of the carnival season, coincides with Ash Wednesday and the beginning of Lent. 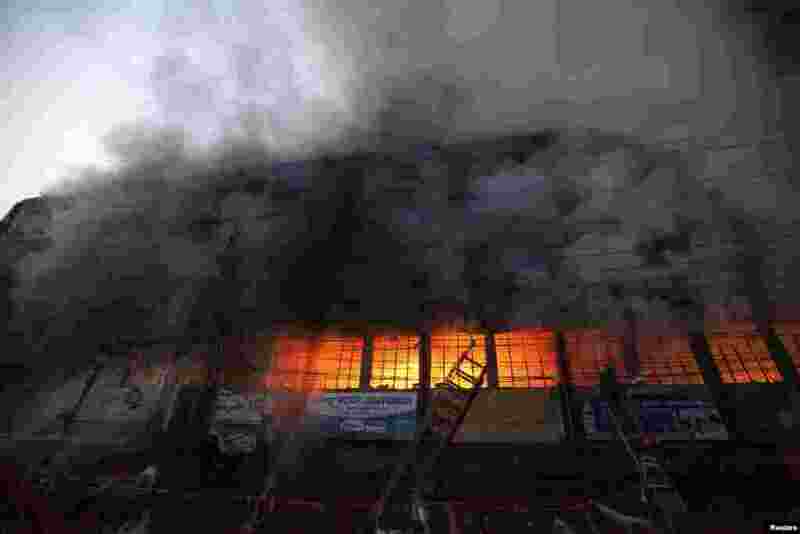 ۷ Locals and fire-fighters try to control a fire at a garment factory in Dhaka, Bangladesh. But no one was in the building at the time of fire and there were no casualties, a police official said. 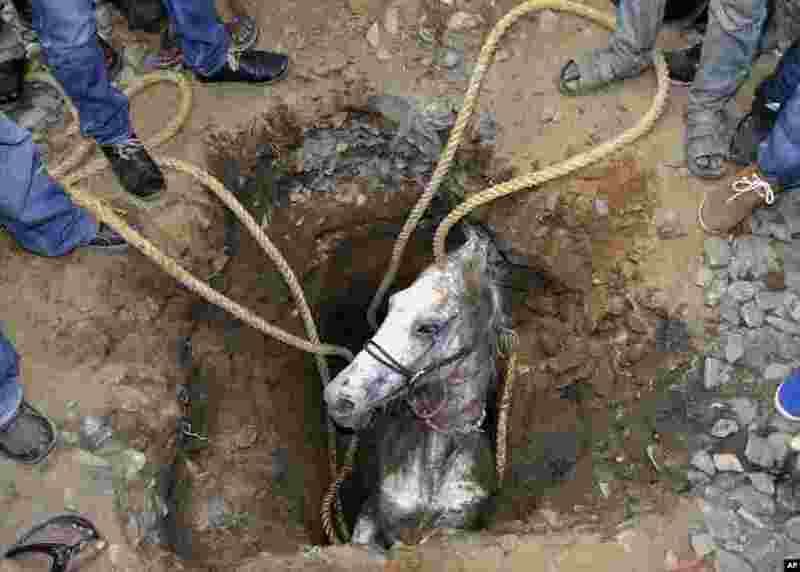 ۸ People stand around a pit to rescue a horse that fell in, in Jalandhar, in the northern Indian state of Punjab, Mar. 5, 2014. 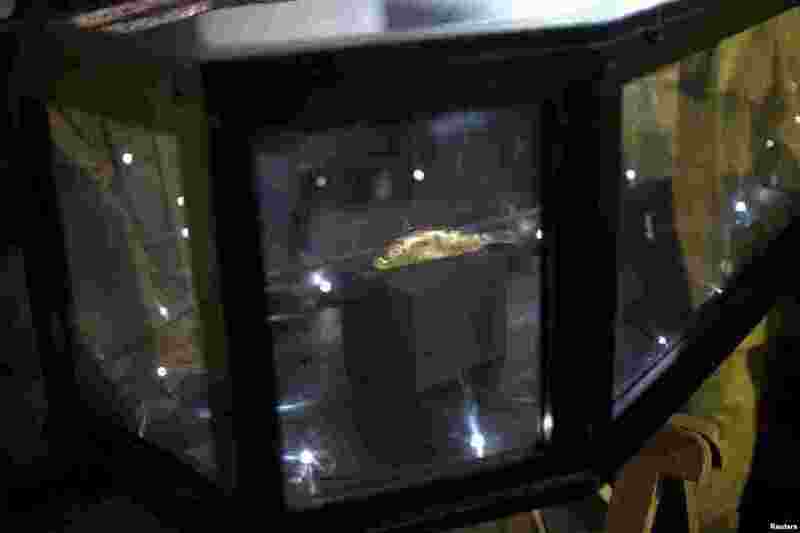 The horse was rescued from the pit, dug to erect electric poles, after a two-hour rescue operation, according to local reports.